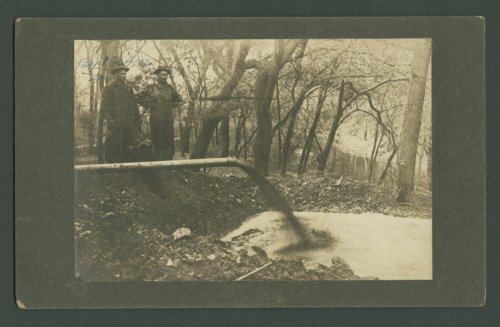 These two sepia colored photographs show the operations of oil well #6 for the Skelly Oil Company in Augusta, Kansas. The first image shows oil pouring from a pipe on to the ground as two men look on. The second image shows the same two men standing in front of the derrick.